Which brings me to today’s post. Here on my blog I write about things we all think about. I also just write about my own craziness that seems to resonate with you, my dear, supportive reader. 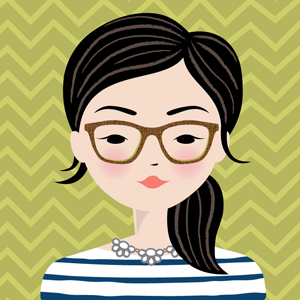 I don’t write here about how I like to craft or the kinds of little parties I plan, the trips we take, or what I like to shop for or what I am eating (I mean the exciting meals that are the stuff of Facebook and Instagram, not just my wicked old obsessions with donuts, potato chips, cake, croissants, etc). Check out my Instagram for that ‘every day in the world’ part of me. What I do think you may gather by now through my blog is that I love to spend time talking and laughing with friends and family. I really like the company of interesting and positive people, and I really really care about you and what’s on your mind. 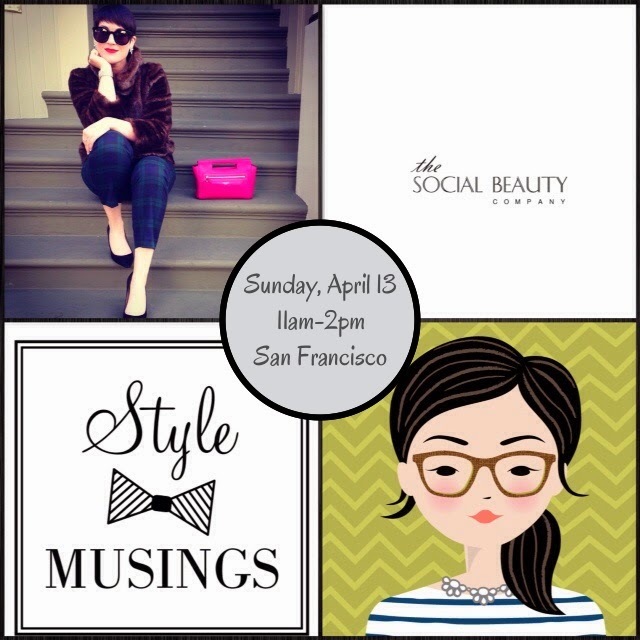 So with my amazingly sweet, silly, and stylish friend, Tamryn, aka Wannabe Fashion Blogger, I am co hosting our first STYLE AND MUSINGS event for you, my local San Francisco reader, who might want to come out and play over mimosas on Sunday, April 13 with Nicole, Julia, Alli and the gals from The Social Beauty Company. Has another salon ever had a better name in history? I didn’t think so. Treat yourself and support Dress for Success San Francisco by choosing from a discounted menu of mini makeover services (lashes? brows? makeup? braids?). I can’t wait to witness all of the prettiness and get to know you in person! By the way, it’s midday, 11-2pm, so you will still have time to hit the town, have afternoon tea, meet some friends, go to dinner with your mate, have your picture taken in gorgeous San Francisco to show off your killer cute look … endless options. Who knew April 13th would turn out to be such a fabulous, action packed day for you? Uh huh… you’re welcome. Oh, and yes, thanks to our friends at La Boulange de Union and Hint Water we will be feeding you too. Yeah, they know it’s going to be a cool event too, made even cooler with their support. Tamryn and I got you covered. Now why are you still ‘thinking’ about it? So hop to it, my friends, it is going to be swell but small, so please register on EventBrite now for your ticket here or http://www.styleandmusings.eventbrite.com. How else will we finally meet each other??? Logo by BP ℅ StudioDesign. I know you want to join us! RSVP here.